The first Agricultural Society existed in Bathurst District in the early 1830′s. An Agricultural Society was formed in McNab township in 1854, which was the first in Renfrew County. 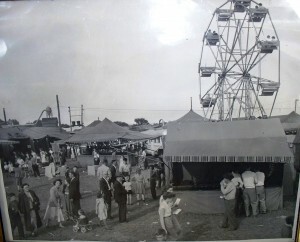 The Agricultural Society was first called the Balmer Island Fair, and later the Stewartville Fair. On September 25th, 1867 the McNab Agricultural Society held an annual exhibition in Arnprior. Between 1896 and 1910 the McNab Agricultural Society did not receive any government grants and may have been dormant. In 1910 the fair was moved to Stewarton and the McNab Agricultural Society was re-organized as the Arnprior Agricultural Society with 120 members. After World War II, Stewarton was annexed by Arnprior, and the annual event continues today as the Arnprior Fair. Welcome friends and families of the Arnprior and surrounding area. My name is Brad Runtz, and I am pleased to have been selected as the President of the Arnprior Agricultural Society. It is my great pleasure to have this opportunity to work closely with the other directors of the board, as well as the great volunteers that make up this great team. I am so excited about the many upcoming changes that 2018 will bring! It promises to be an unforgettable year, full of change and opportunity that the Agricultural Society has never seen before. I want to encourage all families to come out and enjoy the various events that we will be hosting this year. Arnprior Agricultural Society is one of the longest running societies in Ontario, with a proud history. I want to thank the previous board members for their hard work and commitment over the years, and for laying the foundation for a bright future for the Arnprior Fair going forward. Through the years, the society has grown, and we will be working hard to raise awareness and bring back more agricultural themes to your 2018 Arnprior Fair, along with some very interesting displays. The Arnprior Fair hosts one of the largest demolition derbies in Eastern Ontario, and we plan to continue this for years to come. The board of directors volunteer countless hours to make this event the best that we possibly can. Please watch for upcoming events and announcements, and do not hesitate to reach out to myself or any other fair board member, we welcome new volunteers and sponsorship opportunities. 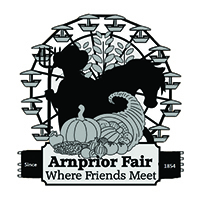 I hope to see everyone at the Arnprior Fair this year, and let’s make this the best year ever! !